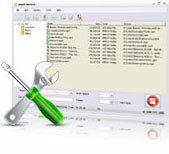 Professional data CD burner/DVD burner software and image file maker come to help you backup your data now. Xilisoft Burn Pro can burn multimedia, bootable and ISO image files or any other documents to data CD/DVD disc of various formats including CD-R, CD-RW, DVD-R, DVD+R, DVD-RW, DVD+RW and DVD+R DL for backup. And you can also make these files into ISO image files, and backup data CD or unprotected Home DVD directly to another disc. With Xilisoft Burn Pro to turn your data into CD/DVD disc or ISO image, you'll never worry about the loss of important data from now on. Strikingly easy and fast beyond your imagination! Burn media files, bootable files, ISO image files or any documents on your hard disk to data CD/DVD for saving and backup. 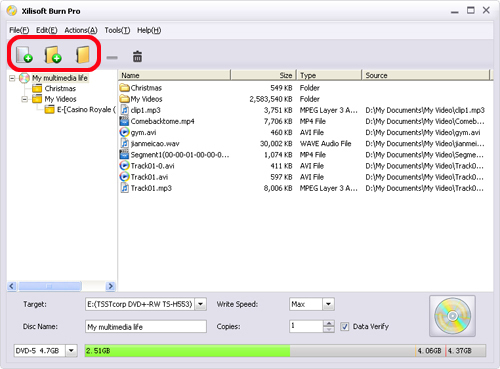 Data CD and unprotected DVD can be directly copied from one disc to another for easy backup. This CD/DVD burner software has high compatibility with various disc formats including CD-R, CD-RW, DVD-R, DVD+R, DVD-RW, DVD+RW and DVD+R DL. Xilisoft Burn Pro helps you erase rewritable disc in the way of fast erase or complete erase effortlessly. For your convenience, this CD/DVD burner software can make any files on your hard disk or CD/DVD disc data into ISO image files. 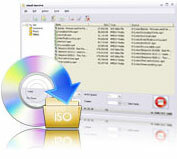 Edit ISO image files directly in this CD/DVD burn software, and optionally save them or burn them to CD/DVD. You can even extract any files from the image file to the local disk. Automatically compare disc data with source data after burning to check whether the target disc data is complete and correct. The write speed defaults to the maximum speed that the target disc and recorder support, and you can also change burning speed freely. 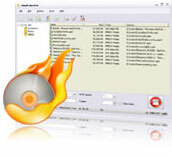 Burning multiple disc copies at one time is supported. High speed engine in this expert CD/DVD burner makes you get the desired CD/DVD or ISO image file with less time than other similar programs. Specify an after done action before burning to exit program, shut down, hibernate or stand by automatically once the CD/DVD burning completed. More time and resources saved. Detailed burning progress including remaining time and size, percentage completed, etc. will be shown for your reference. Xilisoft Burn Pro will check for updates according to the period you specify to assure you of the newest version, functions and experience. English, German, French, Japanese and Chinese interface languages and several skins are for you to choose.